PENCILLERS: Fernando Dagnino, Bernard Chang, Javier Pina. Cover by CAFU. This stuff with Mon El becoming the main character in Superman for about a year presented some really intriguing story opportunities. Unfortunately, the creators didn’t get quite enough time to flesh out some of the plot points, and make Mon El’s time in the spotlight mean as much as it could have. 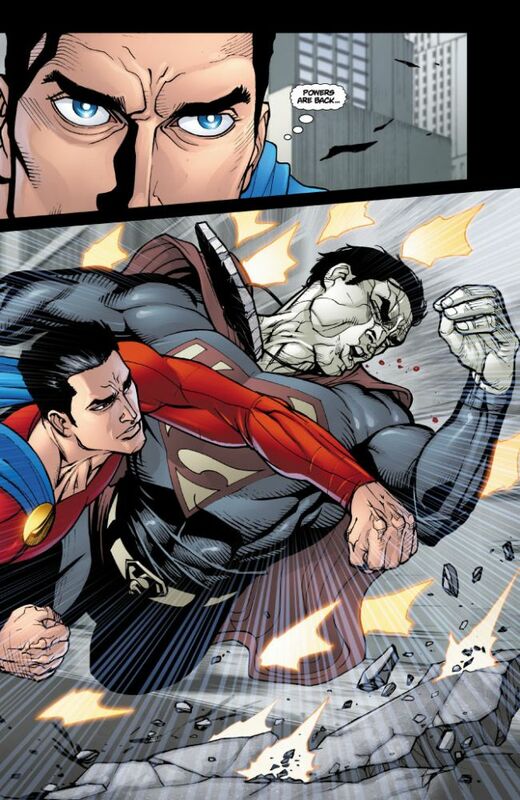 Man of Valor picks up where Superman: Codename Patriot left off, with the terminally ill Mon El presumed dead. In actuality, he’s being held captive by General Sam Lane’s forces at Project 7743. In the issues that follow, Mon El does battle with Lane’s team, as well as the Parasite and Bizarro. Also, members of the Legion of Superheroes are on Earth, and they’re watching him very carefully…but why? After that, the book leaps forward past the events of Superman: Last Stand of New Krypton, where Mon El’s time in present day Earth comes to an end, and we find out whether or not he overcomes his illness. In addition, James Robinson looks at the history of Mon El’s home planet of Daxam, as well as the character’s origin story. The whole thing is…okay. Unfortunately Robinson didn’t have a decent amount of time to play around with the fact that, because Earth’s atmosphere is ultimately poisonous to him, Mon El is protecting the people of Earth at the expense of his own life. There were some lovely moments surrounding that issue in the first Mon El book, but it’s barely touched here. He also begins a relationship with Billie Harper, who’s kinda/sorta related to The Guardian (long story). We never get an effective wrap up to that plot thread. It just hangs there at the end. These are all things Robinson could have addressed had he been given more time on the book. I also wasn’t a big fan of the Legion of Superheroes’ involvement in the story. Granted, Mon El IS a character from their time period, and they do play a key role in the end of the book. I’ve just never been a Legion fan, what can I say? And when it’s revealed that people that we thought were ordinary civilians that just happened to interact with Mon El were actually Legionnaires the entire time, it tarnishes the story. 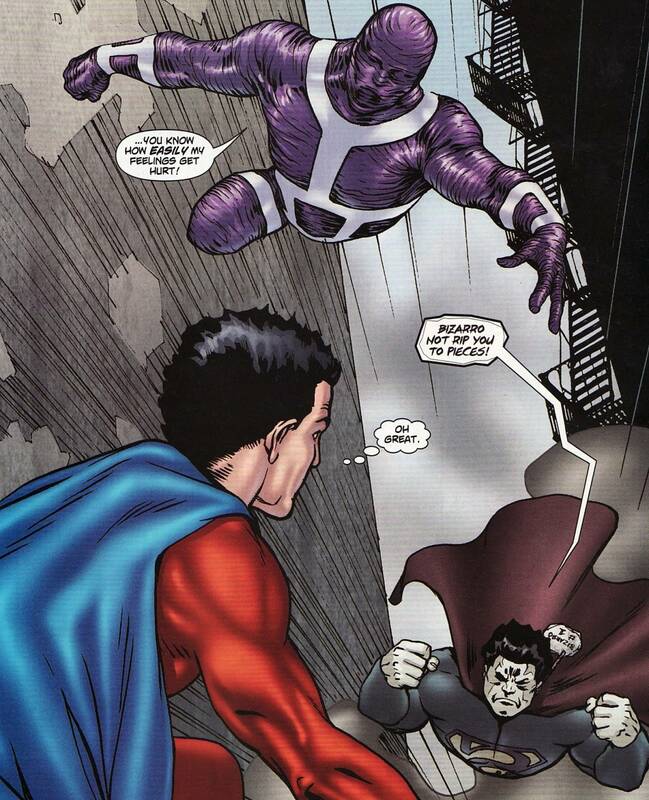 I will say that Mon’s battles with Bizarro and Parasite were pretty cool. And it’s tough to pick a favorite between Fernando Dagnino, Bernard Chang and Javier Pina. They all do pretty good work here. As interesting as it was to see the Superman book function without its title character for a year, it ultimately wasn’t as good as it could have been. It’s still a career moment for the Mon El character, but it could have been a lot better. What’s more, to fully understand what happens at the end of this book you not only have to read Codename Patriot, but Last Stand of New Krypton as well. So overall, Man of Valor is more expensive than it’s worth. 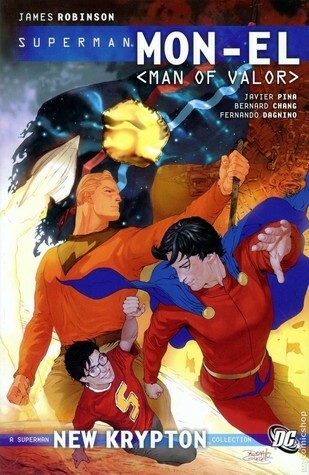 This entry was posted in Comic Books/Graphic Novels and tagged Adventure Comics, Bernard Chang, Bizarro, CAFU, Fernando Dagnino, General Sam Lane, James Robinson, Javier Pina, Legion of Superheroes, Mon-El, Rob Siebert, Superman, Superman: Mon El Vol. 2 - Man of Valor, The Parasite on 09/01/2010 by primaryignition.